Pike got a new baby brother this past weekend! I can’t wait for them to finally meet. He’s in a quarantine cage right now but him and Pike have been calling to each other since I brought him home on Sunday. I don’t know much about color morphs but he is sooo gorgeous and such a cute little ball of fluff. I’ll start working with him soon, just wanted to give him a couple days to adjust without the added stress of a giant human interfering, hehe. He looks like a little Pit-Pat to me. Last edited by FaeryBee; 02-12-2019 at 07:24 PM. Gorgeous little guy. Looks just like the budgie from a Instagram account I follow!! Congratulations on your new little one . Such a beautiful color! You might want to let him settle in a couple weeks before you try interacting too much with him. Besides, when in quarantine you don’t want to spread potential pathogens, which is another reason to keep handling to a minimum right now. He can also use new toys . The rust on the bell is not good for him, and budgie toys are inexpensive. Okay, now that's one cute little budgie! Congrats on your new family member. He’s extremely handsome. I hope he and Pike get on wonderfully and become best buddies. Please let us know how the introduction goes when the quarantine period is over. Your new baby is adorable! Have you named him Pit Pat? 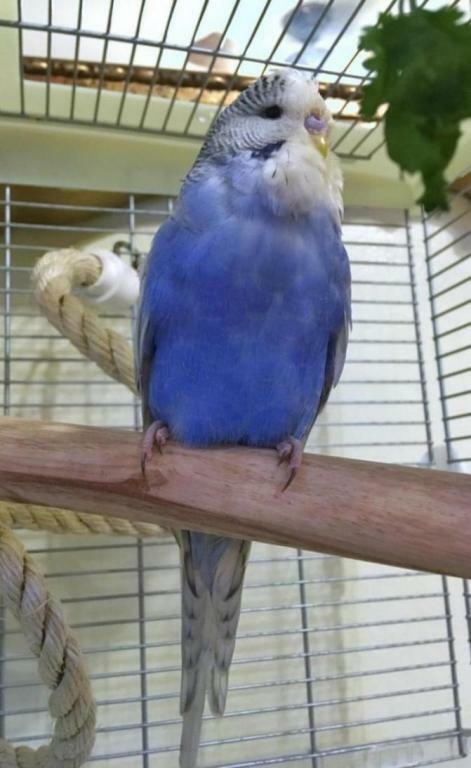 It is best that you not try to touch your budgie for the first two weeks. He needs time to settle into his new environment and become comfortable with his new surroundings. 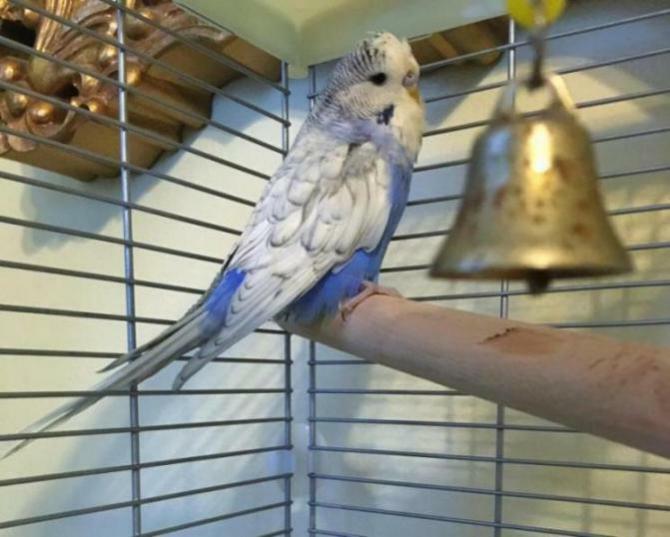 Budgies are often submissive for the first few days simply because they are terrified. Hope your new bird will be with you for years. Pike will be happy. He needs a fellow bird for company.